The Britex Regal urinal is designed for areas requiring optimal resistance to vandalism such as public toilets, night clubs, pubs, sports pavilions and other public spaces where security it a priority. 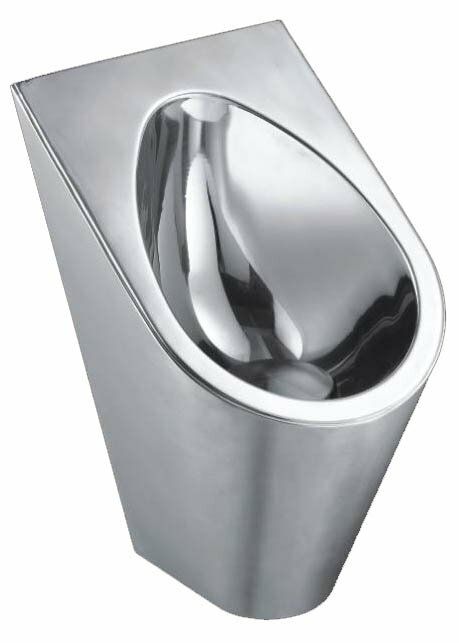 Supplied with a hidden rear inlet and incorporating a stylish stainless steel structure, the Regal urinals provide both style and security. The vandal resistant urinals feature concealed plumbing and quick installation. The Regal urinals are also available as an auto flush model that features a sensor activated flushing device placed securely behind the wall cavity. WaterMark and WELS certified as required by plumbing regulations and government legislation. Britex 'CoastGuard' - a clear coating option that protects against the onset of tea staining caused by salt air - is recommended for installations near the ocean.